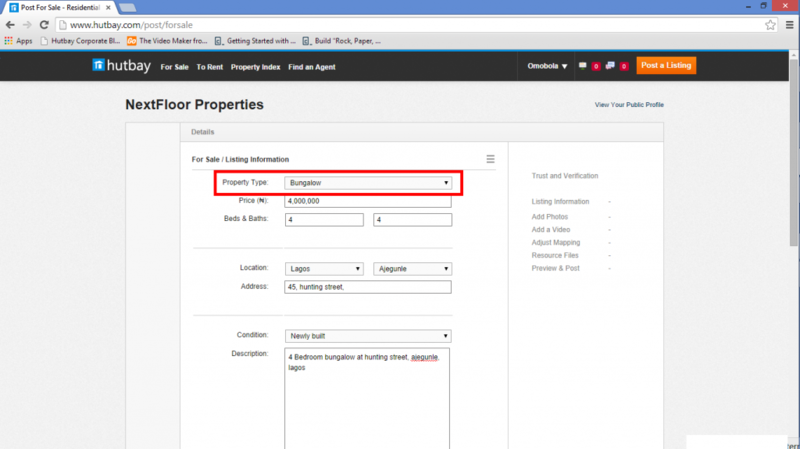 /Latest Posts /Your Listings /How can I add my property details? Property details or descriptions are very important in marketing a property to potential customers. This, in conjunction with visual images will help potential customers form an idea of what your property looks like. Property type: This drop-down contains a list of different property types from which you can choose the one to which you listing matches. Price: In this bar, you insert the price of the property you intend to list. Beds and baths: In each of this column, you are required to insert the number of bedrooms and bathrooms respectively. Location: This contains two columns the first of which contains the states in the country from which you are to choose whichever applied to the property you are listing, the second will load after you choose which state your property belongs, this contains a list of the local governments in the state for you to choose which your property belongs. Address: In this bar, you are to enter the address of the property excluding the state and the local government which you have chosen earlier. Condition: This drop-down contains a list of conditions in which a property can be in for example, Newly Built. You are to choose in what condition the property is from the drop-down. Description: You are to enter a detailed description of the property or other details that were not mentioned above or you think are necessary for the property to gain more attention. Property title: This is ascertain which title is attached to the property so as to ensure the security of the property or increase the chances of the property in the market. Year built: This is not a compulsory category but it is necessary so that the potential customer can have an idea as to the age of the property. 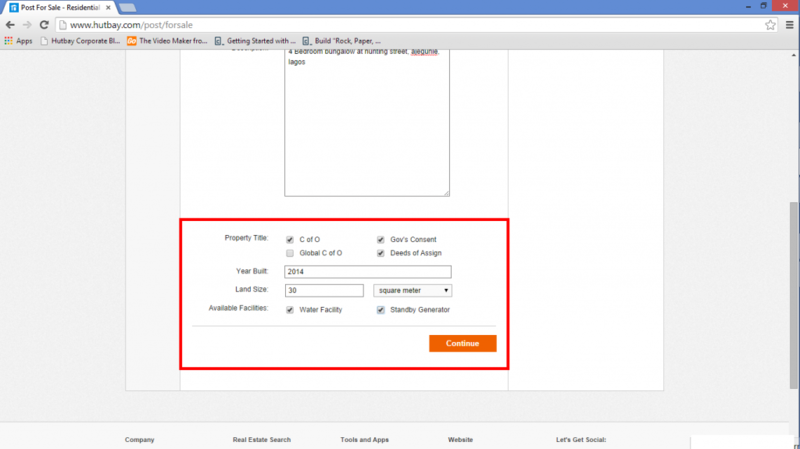 Land size: This is not a compulsory category but it is necessary to have an idea of the land mass of the property which can be in different unit which you have to choose from in the drop-down at the right corner. Available facilities: This is to add to the information about the property especially for serviced apartments.